… were much different there and then. When the backyard produce began to appear, it was much welcomed. It was my mom’s favorite and quickly became mine. So this salad is special to me now as it was then. 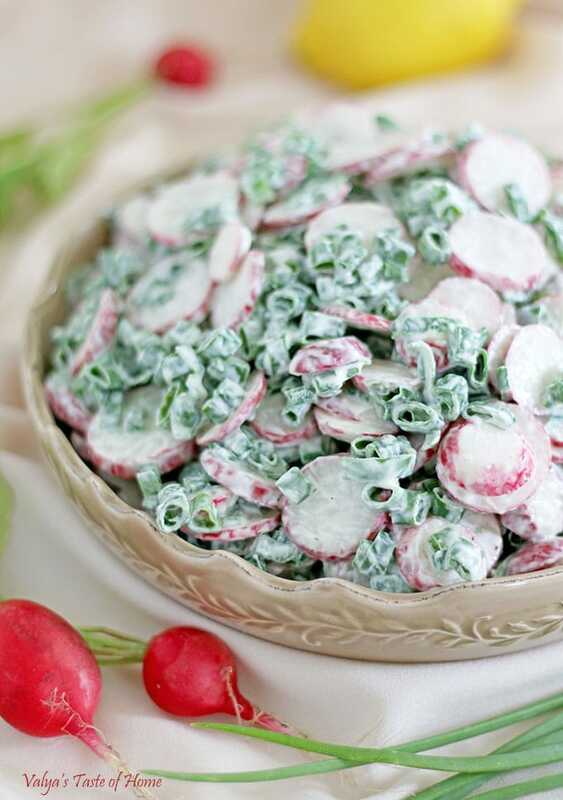 These days we can make any salad at any time of the year. 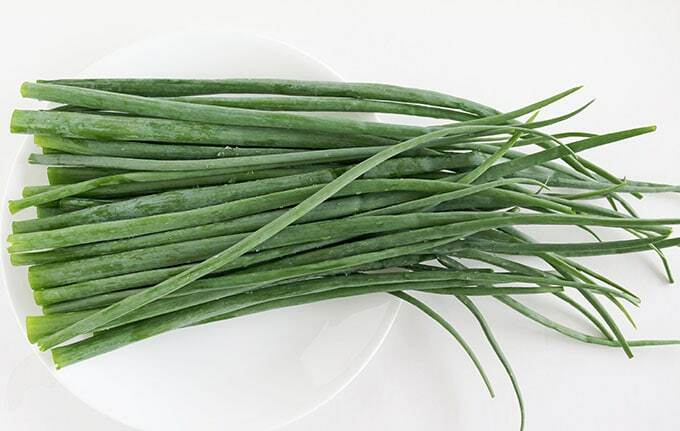 Cold winter months are no issue, we have access to these vegetables and many others at the grocery store, for which we should be very thankful to God. We are not better than people then or deserve this privilege more than people in other parts of the world who may not have access to fresh fruit and vegetables during any season. 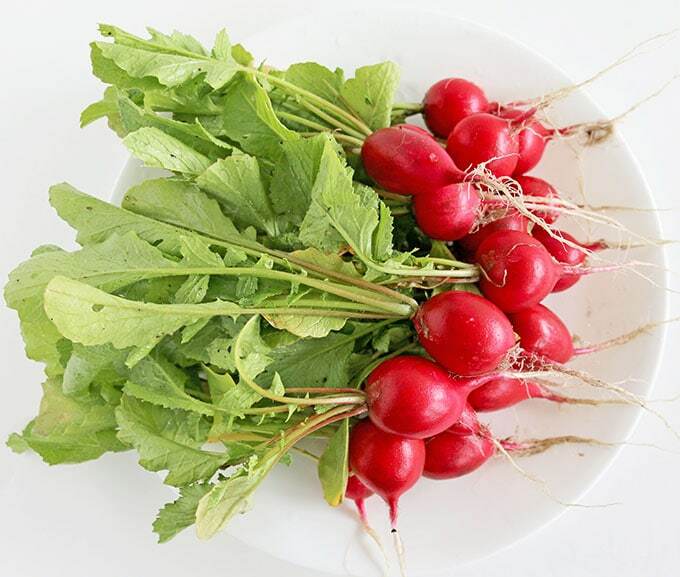 As good as store bought vegetables are, they still can’t compare to the freshness and sharp flavors of freshly picked garden radishes and green onion, you should try it that way first. Mom used sour cream for dressing in this salad, which is very scrumptious. 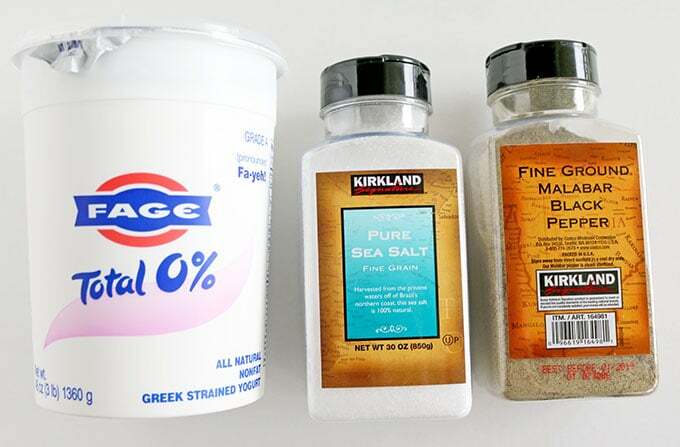 But lately, I substitute it with Greek Yogurt, which adds more nutrients to a salad and adds more protein. There isn’t too much of a difference in taste between them, so you can use either. This salad goes perfectly with just about any main protein dish. 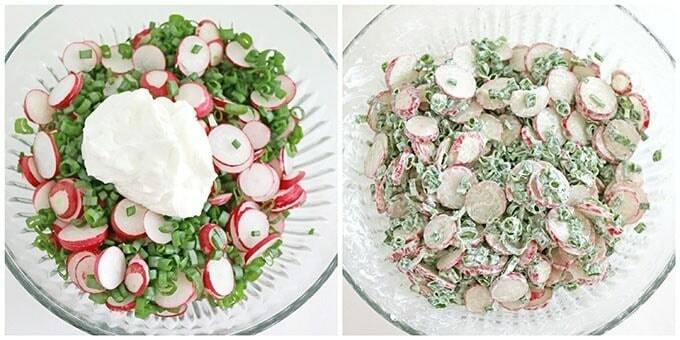 I use this salad a lot when on the 10-day diet, using Greek Yogurt for the dressing. 1. 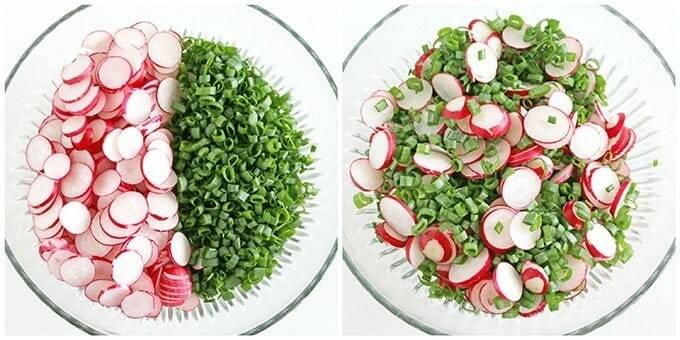 Rinse and cut radish and green onion. Place them into a large bowl. 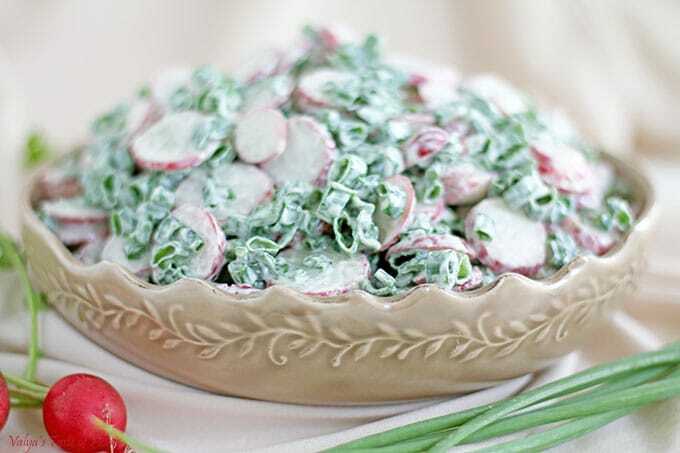 Rinse and cut radish and green onion. Place them into a large bowl. I owned these Cutco knives for 6 years and cannot be happier with them. I have a set of 3 knives and an ice cream scoop. I haven’t had them sharpen yet, they are still pretty sharp. A must have tool!!! oh that salad. Yeah one of the delicious salad you will ever it. Never heard of that salad. I do love trying new things too. Let me know how you like this one.